The other day I was asked to have my picture taken with my favorite children's book. I acquiesced to the request, and then immediately had a complete conniption. Which book? There have been so very many great children's books over the years that it was impossible for me to even begin to think of them all, let alone pick one! Alexander and the Terrible, Horrible, No Good Very Bad Day? I went to the school library to see if it would help. It did not. Instead I saw even more books that I had forgotten, but were favorites at one time or another. My head began to swim at the overwhelming possibilities. 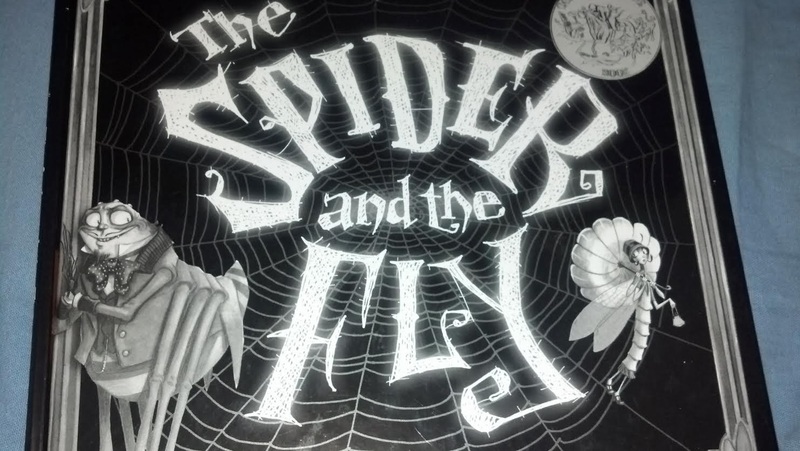 The Spider and the Fly. This particular edition is well-crafted with gorgeous art. In fact the artist who drew the pictures for this book also did some art for some other well known pieces of literature. There's even a letter from the Spider to his readers regarding the conclusion of the tale, and it is kind of funny. So this is my current favorite children's book. What's yours? List in the comments! The Giving Tree is, was and will always be my favorite children's book. I guess I've always been sort of morbid and melancholy.